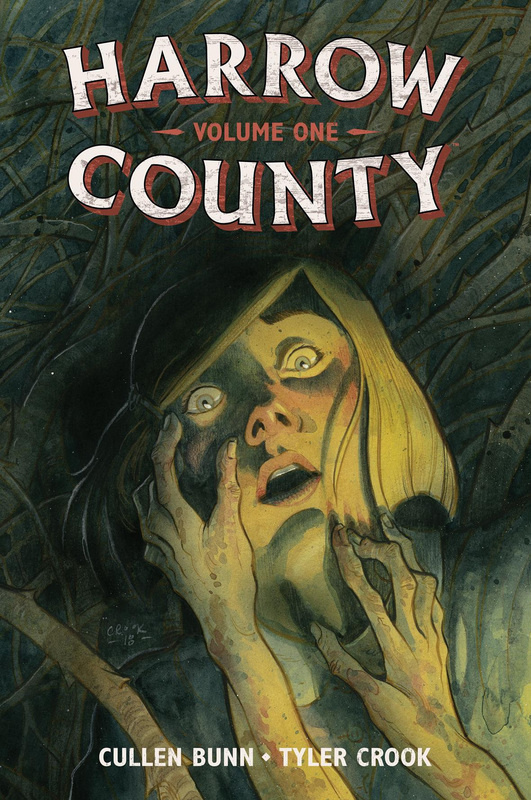 Though Harrow County, the Dark Horse series by Cullen Bunn and Tyler Crook, may soon be coming to an end, the mad scientists at Dark Horse have found a way to bring it back as an undead fiend. And by “undead fiend,” we mean as a deluxe Library Edition hardcover containing two trade paperback volumes, hitting stores this Fall. Harrow County: Library Edition Volume 1 hits stores on October 24, 2018, just in time to buy hundreds of copies to hand out to trick-or-treaters.